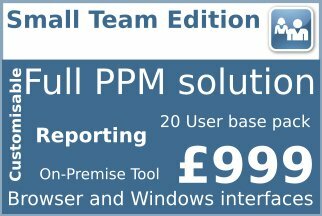 Community Edition is widely recognised as the best free project management software. Users also use the product to support PRINCE2 learning and is used extensively by people training in PRINCE2 and to support the delivery of personal PRINCE2 projects. Community Edition provides users with a full set of the official PRINCE2 templates and also additional ones from the author of the official pack. Community Edition manages the configuration of these templates and any other documentation you add with checkout and in capability keeping a clear audit trail of changes. 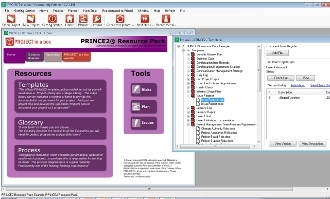 The PRINCE2 resource pack also provides access to the official PRINCE2 Glossary and other high value PRINCE2 supporting materials. Sounds great we know but Community Edition also provides this for DSDM Atern the agile method, a sales support method and a set of generic project management methods for your less complex projects, based on best practice and saving you tailoring time. If you want to do more with Community Edition you can upgrade to add Managing Successful Programmes and there are more methods coming soon. CE also has a multi-language capability so you can create a translation file and operate in your language of choice. CE is no dead end either, when you are ready for more sophistication you can upgrade into Personal Edition easily. Now Community Edition comes prepackaged with Planner the great new planning tool. 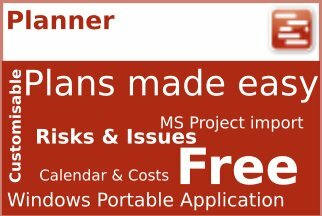 Planner is easy to use and delivering the features used most commonly in MS Project it makes creating your plans straightforward. 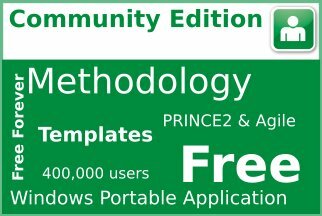 Now you can upgrade the PRINCE2 Resource Pack provided for free in Community Edition to the full PRINCE2 Method Template for just £25 +vat. This Licensed PRINCE2 Product provides the documents and some guidance materials laid out for each process as you need it including simple point and click from the process diagrams. This free project management software will save you hours of thumbing backwards and forwards through your manual! Users get regular updates for Community Edition. 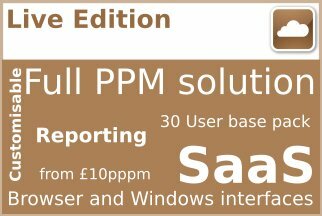 CE also provides newly extended 1,3,4 and 5 step generic PM methods prescaled for less complex methods, DSDM and Praxis. Based of best practice and including plans, risk and issue management, all for free. Community Edition is a Windows 10 32 and 64 bit compatible application. You can also run Community edition on older Windows environments too. With Community Edition you can take your projects with you as the software is a .NET portable application. This means that you can have it on a USB stick and take your project environment with you. Users can also install to program files on their PC or laptop as well. Mac users can run this free project management software Community Edition on Parallels. More than 350,000 people now use this free project management software worldwide. 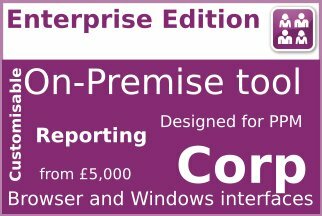 Users can download CE and it is also used on PRINCE2 training courses and degree and masters courses. 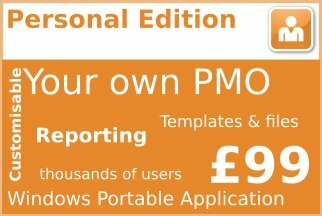 Community Edition is free project management software not a trial version so can be used in anger on your projects. 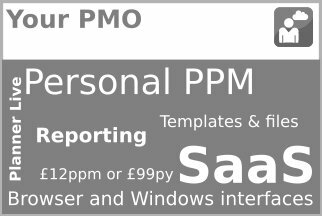 Of course providing a full set of PRINCE2 templates, supporting materials and structured configuration capability it also gives so much more than many other products you are asked to pay for!